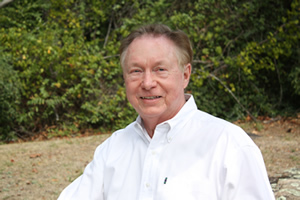 Dr. Richard Real is a lifelong member of the Bluff Park community, having attended Bluff Park Elementary School and Shades Valley High School. He received his B.A. from Birmingham-Southern College and his D.M.D. from the University of Alabama School of Dentistry. Dr. Real is a member of the American Dental Association, Alabama Dental Association, and is past president of the Birmingham District Dental Society. Dr. Real has four children and four grandchildren. He and his wife Teresa are members of the Bluff Park United Methodist Church. Dr. Real is a strong believer in the connection between oral health and systemic health and he has patterned his practice around this concept. Dr. Real and his staff strive to educate and motivate patients to endorse this principle. Dr. Real utilizes the most modern treatment modalities to achieve optimum oral health including non-surgical periodontal therapy, laser assisted treatment, dental implants and all porcelain crowns, bridges, and veneers.